Series freezers are designed for efficient long-term storage of larger volumes of specimens in Vapour Phase. Taylor-Wharton K Series systems are designed to accommodate various inventory control systems. The Taylor Wharton LS Series refrigerators are uniquely designed for large vial capacity in convenient box-type storage racks and at the same time keep LN2 consumption to a minimum. 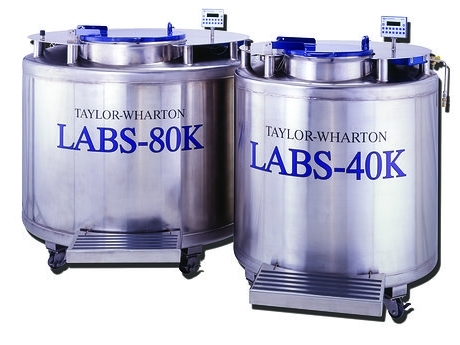 Labmode in partnership with Taylor-Wharton offer a complete range of cryogenic storage solutions. We have a wealth of knowledge and experience in selling, servicing and installing Taylor Wharton products in the UK and worldwide. 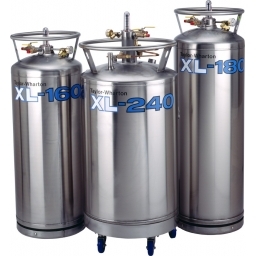 Cryogenic storage for long term applications in medical, scientific, biobanking and industrial applications. Taylor-Wharton Cryogenics is a leading manufacturer with over 40 years of experience in the design and production of cryogenic storage vessels for liquefied gases. labmode are a dynamic, energetic and focused team of sales, service and technical experts. For the full range of Taylor-Wharton products click on the link below. Service Options on Taylor Wharton products and a range of cryogenic associated equipment such as oxygen depletion monitors. Rental storage vessels available to facilitate defrosting of existing storage units. labmode offer consultation and advice on sample storage solutions through to installation of biobanking sample storage facilities in the UK and worldwide. 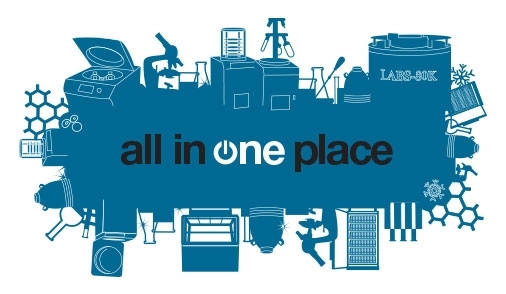 We are focused on providing storage solutions not just liquid nitrogen delivery systems. 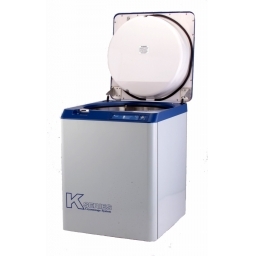 LABS Series freezers are designed for efficient long-term storage of larger volumes of specimens in Vapour Phase. With a capacity of up to 80,000 2ml vials, near liquid nitrogen temperature at the top of the storage rack and low nitrogen consumption, the LABS Series sets new industry benchmarks. In addition to this exceptional performance these freezers also feature ergonomic design including a flat stainless-steel table-top and a folding step permitting easier access to the stored material. The extremely easy-to-rotate turntable with aluminium dividers permits quick, convenient access to the inventory control system as well as easy sample location. All models are available with automatic level controllers and the CE mark in compliance with Medical Devices Directive MDD 93/42EC. The high capacity makes it possible to hold up to 38,350 2ml vials or up to 739,500 0,25ml straws. Normally 10 K and larger systems are connected to a liquid nitrogen tank by means of a hose equipped with a CryoCon unit, which is an electronic Taylor-Wharton automatic level controller that is available in various models. K Series systems are used throughout the world wherever it is necessary to store biological specimens or larger objects such as organs for transplantation. Like all Taylor-Wharton vessels, the ultra high capacity refrigerators use nitrogen in liquid or vapour phase for cooling. This results in low operating costs and fewer refills. The rectangular shape of the racks for 5 x 5 or 10 x 10 cryoboxes makes it easier to maintain an overview of and identify stored samples. As a result, samples can be located and removed more easily and faster. The four vessels cover a range from 750 to 6,000 2 ml vials. The compact LS 750 can be used with either racks or with canisters. These models can also be used for storage in either the vapour or liquid phase. 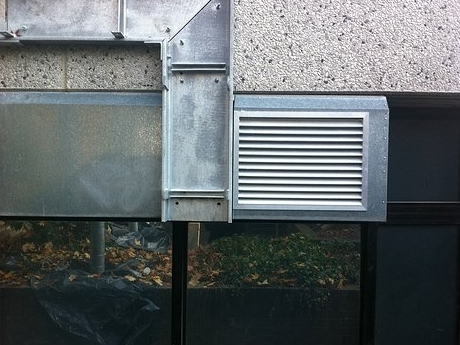 In case of storage in the vapour phase, the two bottom shelves must be left empty, which reduces the capacity. The use of level controller is recommended. Taylor Wharton HC Series refrigerators are designed to provide greater storage capacity in vessels with approximately the same dimensions as those of the XT Series. HC vessels are used primarily to store material in vials or for applications that involve larger quantities of straws. 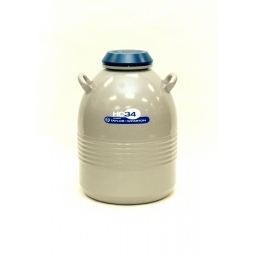 The HCL vessel is especially compact, which makes it ideal wherever space is limited. Taylor Wharton XT Series refrigerators are designed to provide long term storage of a variety of materials at cryogenic temperatures. XT vessels permit holding times of up to 340 days. These extremely long holding times ensure economic operation. Typical users include research institutes and laboratories as well as pharmaceutical firms and artificial insemination centres. XT vessels are used primarily to store straws but are also used to store vials when long holding times are important. This series also offers a low profile model (XTL) for use in more confined workspaces. Taylor Wharton CX “dry shippers” are designed to transport a variety of materials at cryogenic temperatures safely. The unique absorbent material prevents a liquid spill if the unit is tipped over. This eliminates the danger of spills and represents a significant improvement in the shipment of biogenic material. Storage temperature inside the shipping cavity remains at approximately -150° C until the liquid nitrogen evaporates from the absorbent. This increases reliability, especially in the case of shipments involving long distances. Due to the superior vacuum performance with super insulation these units provide maximum holding times. With these vessels and the shipping cases international shipment no longer represents a problem. The vessels comply with IATA regulations. The optional available data logger records the storage temperature of biological material. 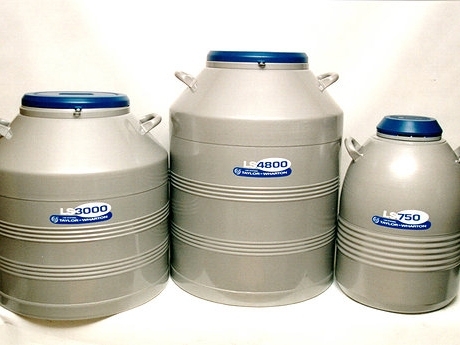 Taylor Wharton LD Series dewars are used to store and distribute small amounts of liquid nitrogen. They are ideal for various applications that call for the use of this medium, for example, in the area of materials testing. 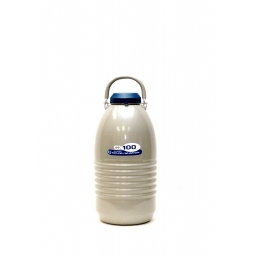 This series includes models with capacities ranging from 4 to 50 liters. A pitcher-style model (LD4) is available for easy pouring, as well as a beaker style model (LD5) with a wide mouth to make it easier to immerse objects in the liquid nitrogen. LD Series dewars feature extremely low evaporation rates and are convenient to use. Optional equipment includes – liquid withdrawal device, tipping stands, dippers and roller base. 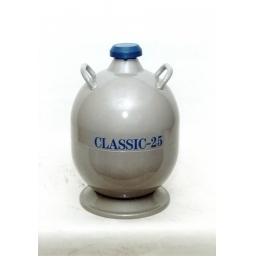 The “Classic 25” is a model that has been found to be extremely practical. Because of its spherical shape and low centre of gravity, it is easy to handle and is ideal for pouring liquid nitrogen. Taylor Wharton XL Series Storage and transport cylinders for liquefied gases represent important components of the Taylor-Wharton Cryo-Science Technology. The inner and outer vessels are made of stainless steel, and all vessels comply with the European Directive 1999/36/EC for transportable pressure equipment (TPED). Servicing of Taylor Wharton Cryogenic storage vessels, controllers and liquid cylinders. Typical contracts are shown below but can be customised to your organisation. When ice builds up inside your cryogenic refrigerator liquid nitrogen consumption increases. Unless you have spare capacity how can you clean it out? We offer a delivery and install service of a rental cryogenic refrigerator. 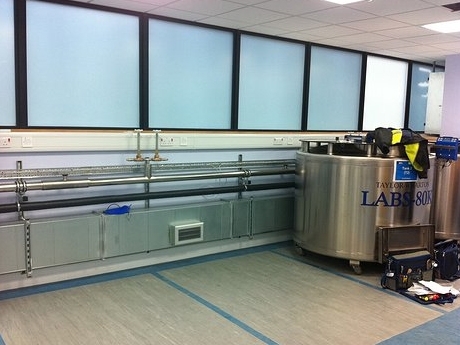 labmode provide complete packages for cryogenic installations. 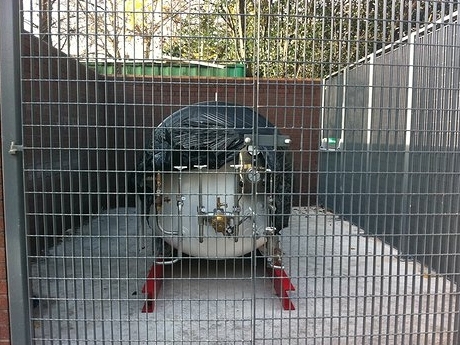 We provide a storage solution not just a liquid nitrogen delivery system. We provide the bulk tank, associated super insulated vacuum line (SIVL), internal take-off points, low level air extract ventilation system, internal cylinder auto-fill system, oxygen monitoring safety system with integrated alarms and emergency shut downs, data logging and web based alert communications along with end user training and cryogenic safety talks. Contact us to discuss your current sample storage. 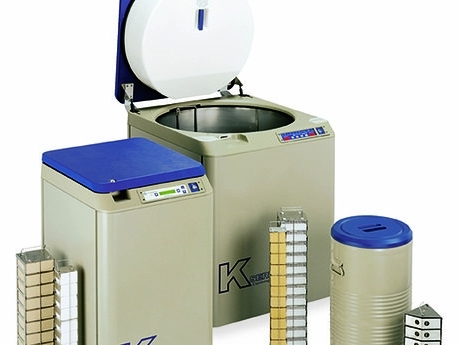 Consolidate samples into vapour phase storage solutions. We can help decide the best sample storage systems that work with your laboratory or department. 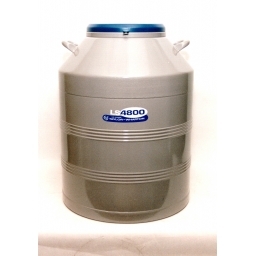 labmode provide advice on your current cryogenic storage facility. Cryogenic safety and training is available through our project department. labmode will provide a turnkey package and manage your cryogenic project installation. Our quality management system is certified with BSI complying with ISO9001:2008 for the procurement, installation, servicing and repair of laboratory equipment.